We had to break some bad news to Motorola users yesterday because handsets like the Atrix 4G, Photon 4G and Electrify were no longer getting an Android 4.0 ICS update. Sony users, on the other hand, can breathe a sigh of relief because we’ve got confirmation that several handsets will now be receiving sweet, sweet Ice Cream Sandwich. 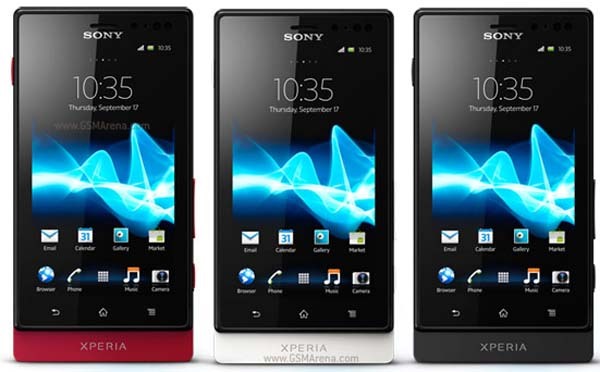 According to Sony, the Xperia U, Xperia Sola and Xperia Go will be part of the Android 4.0 ICS update rollout that started last September 28. Not only will users of these Sony smartphones be getting a newer version of the Android OS, they’ll be also have some “new unique media applications” to go with it. For more details, check out Sony Mobile’s blog. Is your Sony smartphone part of the Android 4.0 ICS update? Are you looking forward to the new features? Let us know in the comments below!